Quality valves are an essential part of any fluid control system. Of course, the more pressure your fluids are under, the greater the stress on the components will be. Having quality valves becomes even more important for preventing leaks, ensuring safety, and promoting precision fluid control. Make your valve-buying decision easy and look only at Oilgear high pressure valves in Chino CA. In 2008, Oilgear acquired The Olmsted Products Co., a valve manufacturer with over 40 years of experience designing and manufacturing valves for high pressure and high flow applications. This means that you can get both standard valves and specialty Oilgear high pressure valves in Chino CA designed specifically for your unique application. Oilgear is a respected name in the high pressure hydraulic component market. But if you want to be sure you are getting genuine Oilgear parts that live up to the company’s excellent reputation, you want to be careful where you get them. 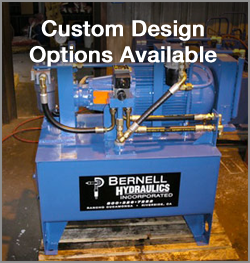 As a family-owned company that has been a trusted provider of Oilgear high pressure valves in Chino CA since 1977, Bernell Hydraulics can be relied upon to fill your orders correctly with authentic parts. Our staff is very familiar with the Oilgear product line so if you have any questions we can certainly help. We strive to make your shopping experience as pleasant and convenient as possible with options for in store pickup, local delivery, or nationwide shipping. Whether you’re ready to place an order for Oilgear high pressure valves in Chino CA or simply want more information, you can reach us at 800-326-7252.